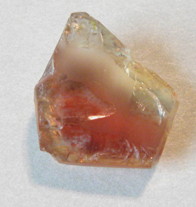 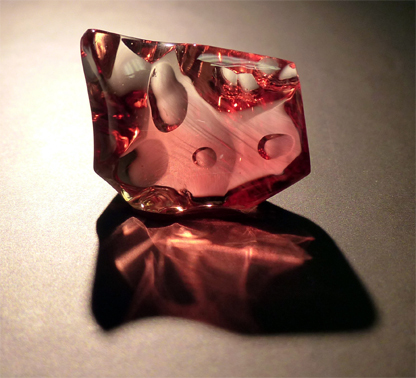 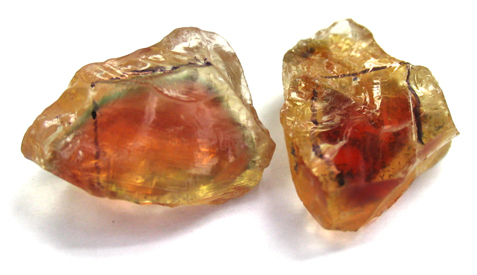 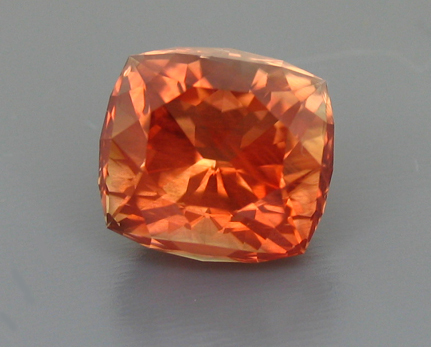 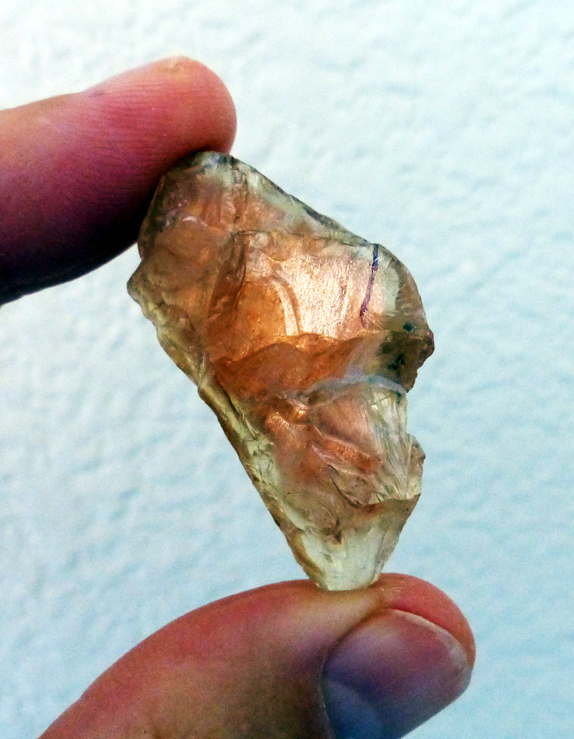 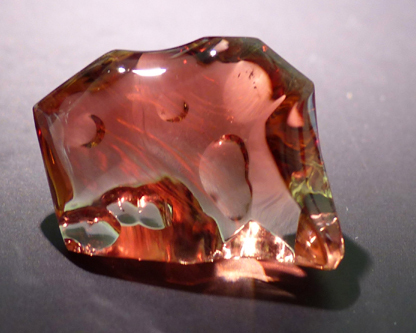 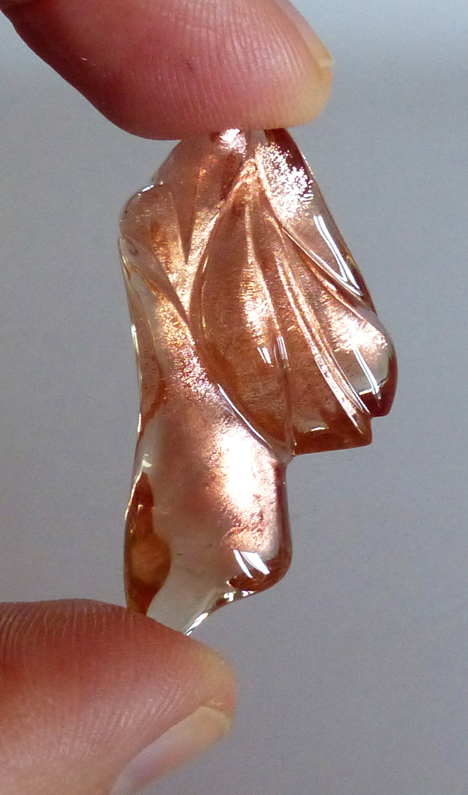 One of the few gemstones from the United States, Oregon Sunstone is found in the high desert areas in Oregon. 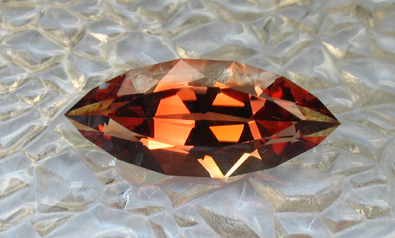 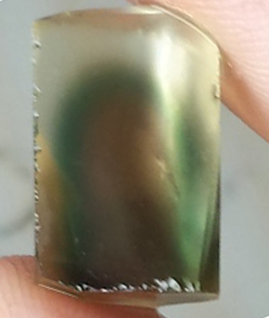 The main body colors of this gemstone can be clear, straw, yellowish, orangy, reddish to even green which is fairly rare. 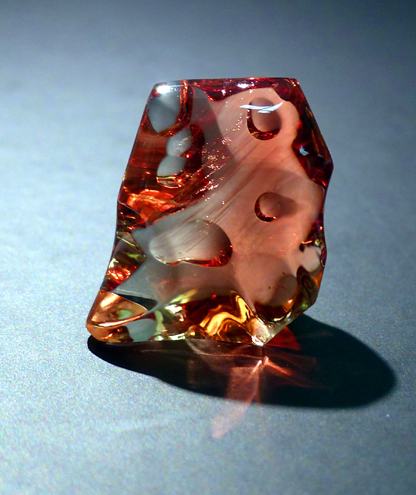 Some pieces may actually contain more than one color, to the point where it looks like watermelon, with green, red and clear. 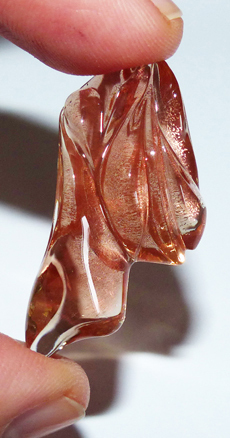 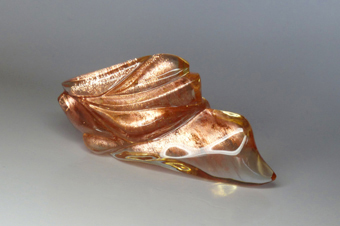 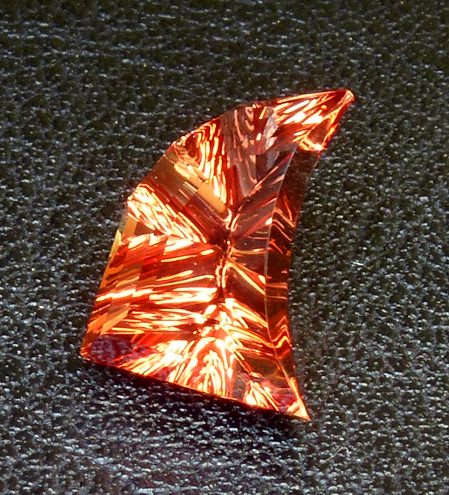 Some gems can be found with schiller (copper platelets) which add an interesting feature/glitter to this gemstone. 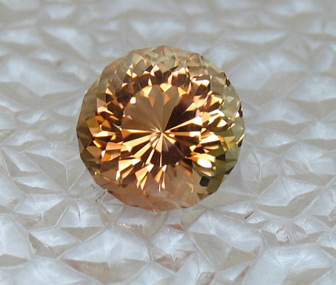 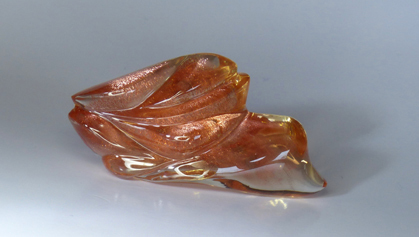 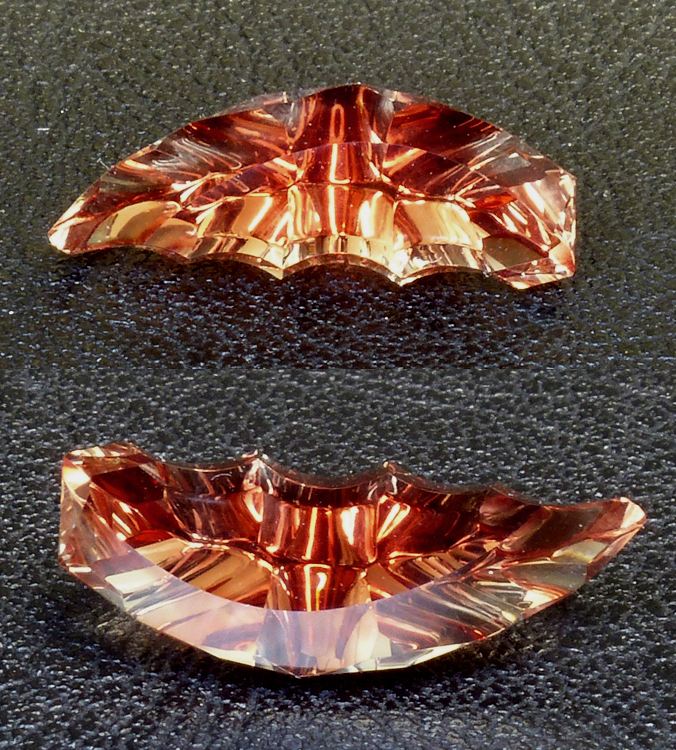 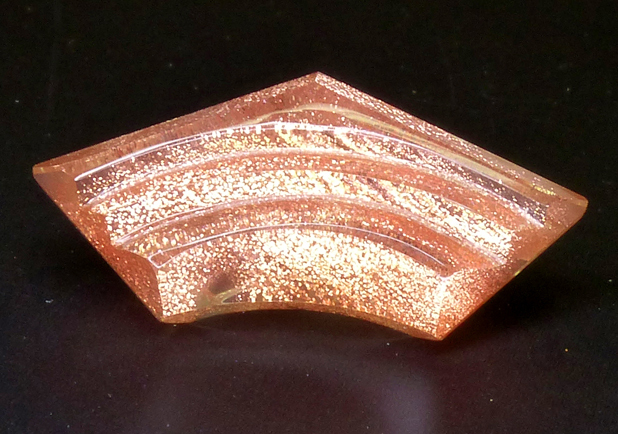 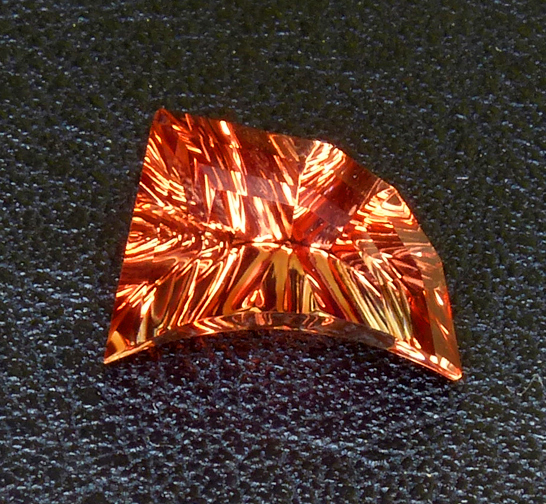 Oregon Sunstone (4.60cts) in the Custom Elegante Design! We are offering this piece at approximately 20% BELOW the calculated wholesale price (based on a wholesale guide created by those directly involved in activing mining and selling of Oregon Sunstone over decades). 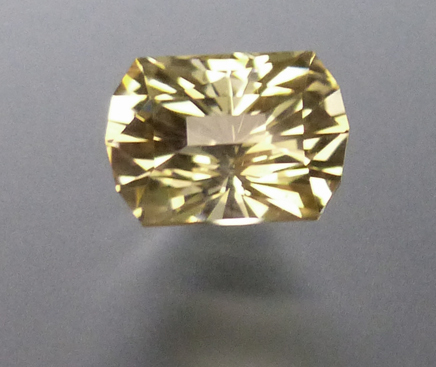 For those considering this unqiue and beautiful purchase, we are willing to share the wholesale list, as well as our calculations to show how we arrived at our pricing. 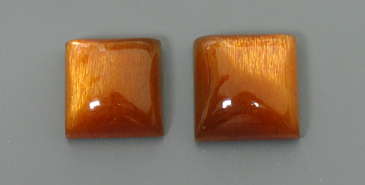 For a retail markup, we anticipate the price to be up to 100% more. 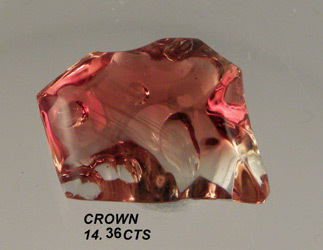 Our goal has been to provide our customers exquisite fine quality colored gemstones at the best price possible. 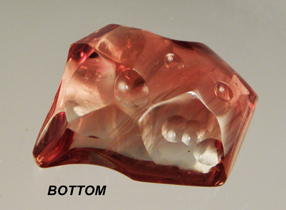 With 36 years in the gem trade, access to the source for rough and cut gemstones, as well as to many award-winning facetors/artists, allows All That Glitters to offer unexpectedly low pricing on most of our inventory. 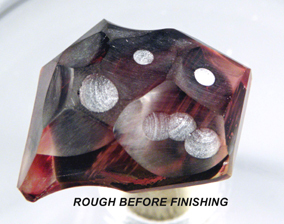 Contact us for a price quote! 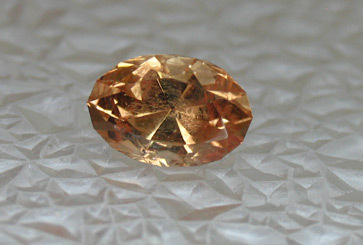 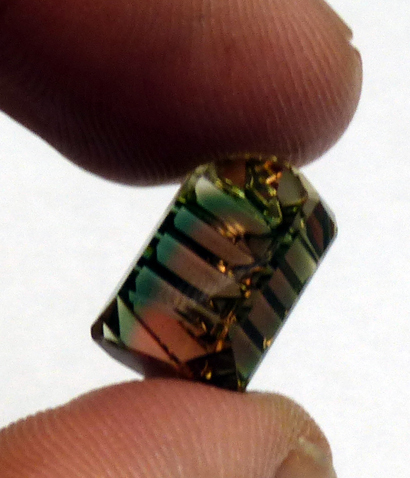 14.36ct Oregon Sunstone - Custom piece! 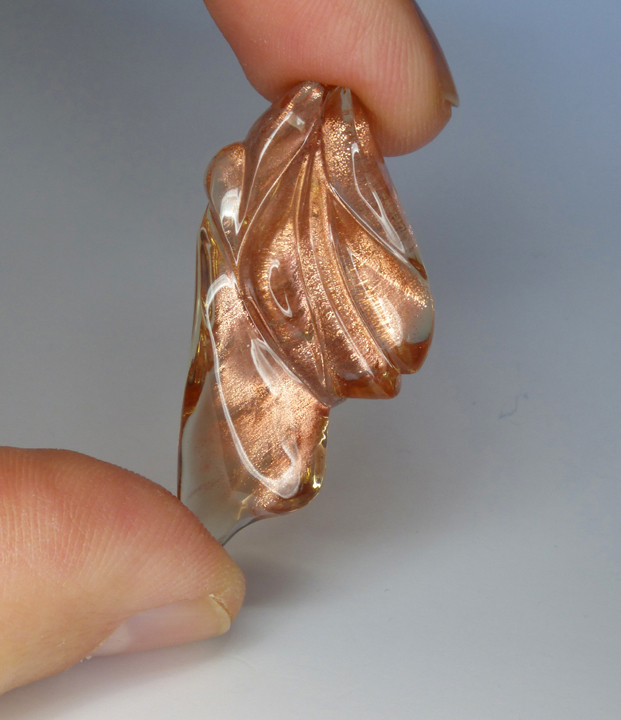 An incredible price if one considers the cost to facet/create this, the size, the uniqueness, etc. 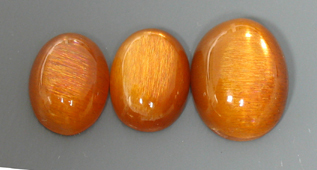 Same 3 cabs under office fluorescent lights with no over head pin point light source; therefore, no cats-eye or star. 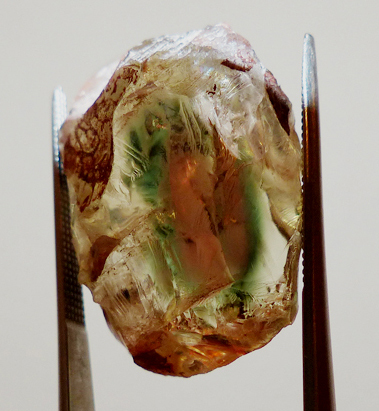 "It's gorgeous. Really lovely. 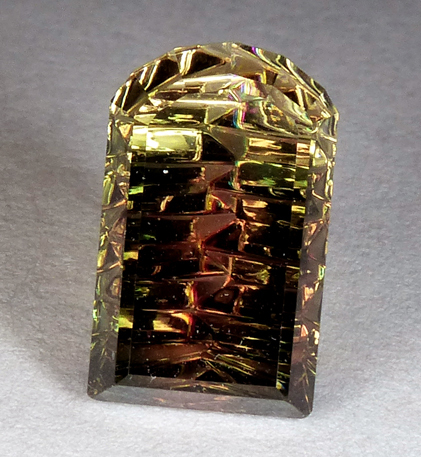 My wife will go nuts for it for all that colorful bling! "